Art under the Flyover, established in 2011, is a continuing programme of arts in the Cumberland Piazza aiming to enliven and regenerate this iconic space. The programme is overseen by Hotwells & Cliftonwood Community Association and managed by Anna Haydock-Wilson. In the 1960’s streets in Hotwells were cleared to make way for a flyover and the area underneath was re-designed by landscape architect, Sylvia Crowe. 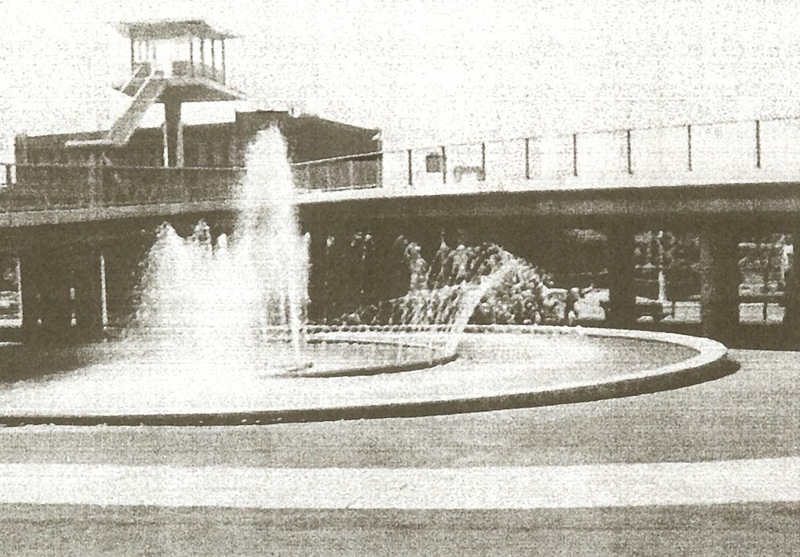 For years the space remained derelict- there used to be fountains and playparks. Local people of all ages have diverse ideas for the future, a roller coaster, a tennis court and even an urban beach! Hi, sad to see that the Sky film crew art department who used the pillars under the flyover as a location a couple of weeks ago haven’t made good after they finished. Some of the beautifully newly painted blue pillars have holes in them and tape and paper is still stuck to them. Perhaps Bristol City Council Film Office will be providing some funds to make these good?